I was recently very pleasantly surprised by a very generous package which I received from Pixi Beauty. I use their skincare most days, and have tried a few of their makeup products, but they kindly sent me nine of their lash and eyeliner products to try and I am super excited to be able to share them with you. Starting with the Black Lacquer Lash Primer (£15). My natural lashes are very pale and fine, and so I often use a lash primer before I apply mascara. 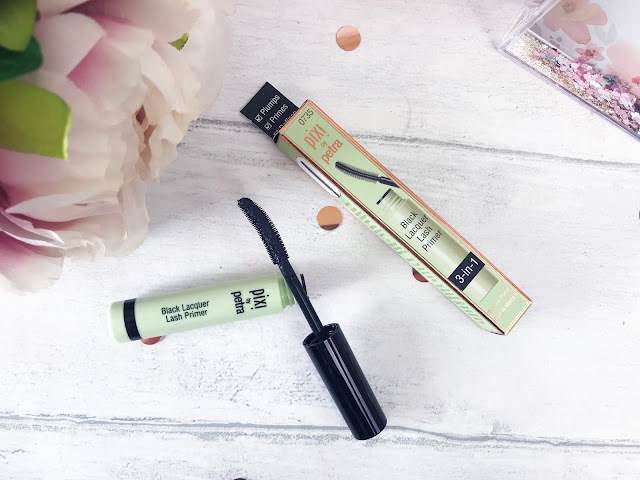 Pixi’s Lash Primer has a flexible comb applicator to seamlessly coat and separate each eyelash to give a stunning final effect. It has a glossy black formula, and has been created using conditioning ingredients such as Vitamin A and C to fortify and help prevent breakage, and panthenol to hydrate and help promote elasticity as well as increasing lash thickness. It can be worn on its own if you have naturally lovely lashes, but I find it the perfect primer. The Pixi Large Lash Mascara (£14) is available in Best Brown or Bold Black, and here I have the Bold Black. 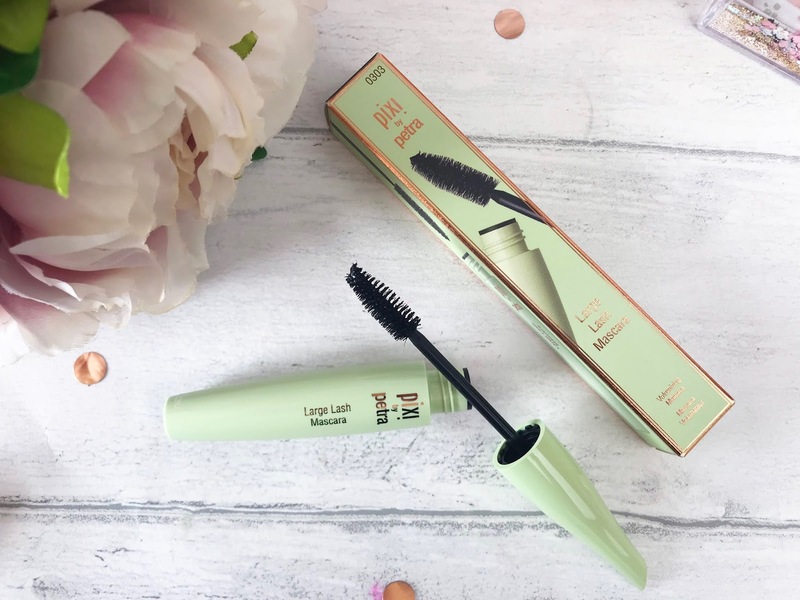 It has an oversized brush made from natural bristles which grips and coats each lash from root to tip to thicken and elongate every lash, which is perfect for my fine lashes, and is also smudge, clump and water resistant making it the perfect beach and poolside product. The Large Lash Mascara also contains nourishing Vitamin E and strengthening Panthenol as well as moisturising bamboo extract to keep the lashes in tip top condition. 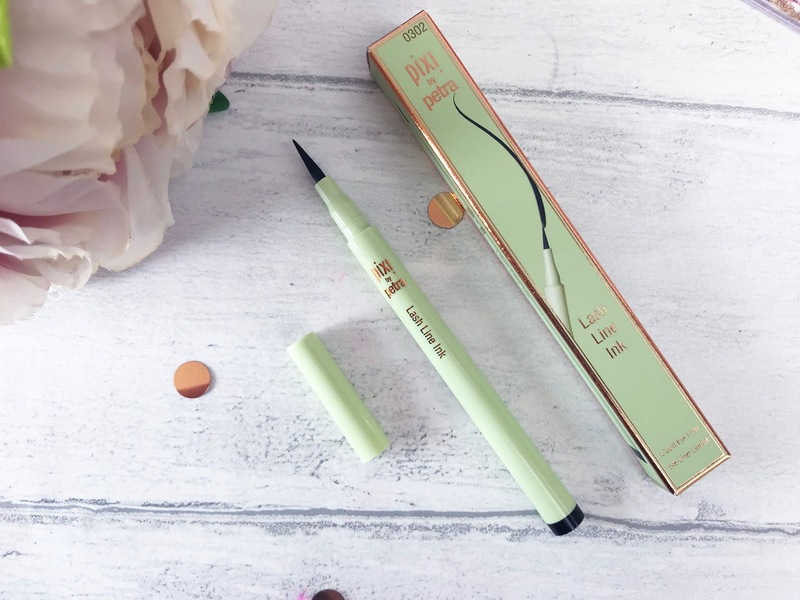 Moving on to eyeliners, first up is the Pixi Lash Line Ink (£12) which is a liquid eyeliner with a pointed tip. It can be used dotted between lashes to make the lash line look thicker, or for a more dramatic look, simply turn the pen so that the applicator is flat against the lash line and trace the lashes. You can then extend up and out at the outer corner to create an easy cat eye look. 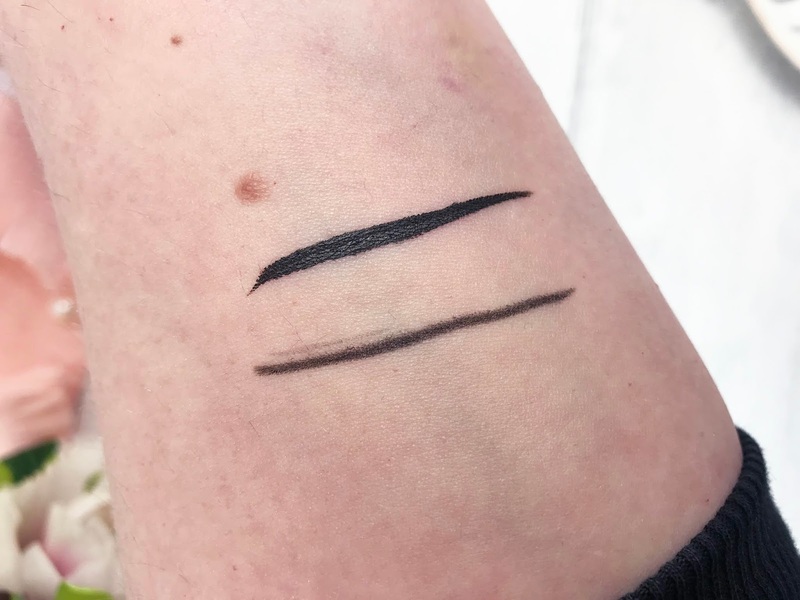 This deep black ink liner applies seamlessly and features a waterproof, non-feathering, quick-drying formula and that flexible precision tip makes it so easy to use that you don’t have to be an eyeliner expert to get a professional effect. 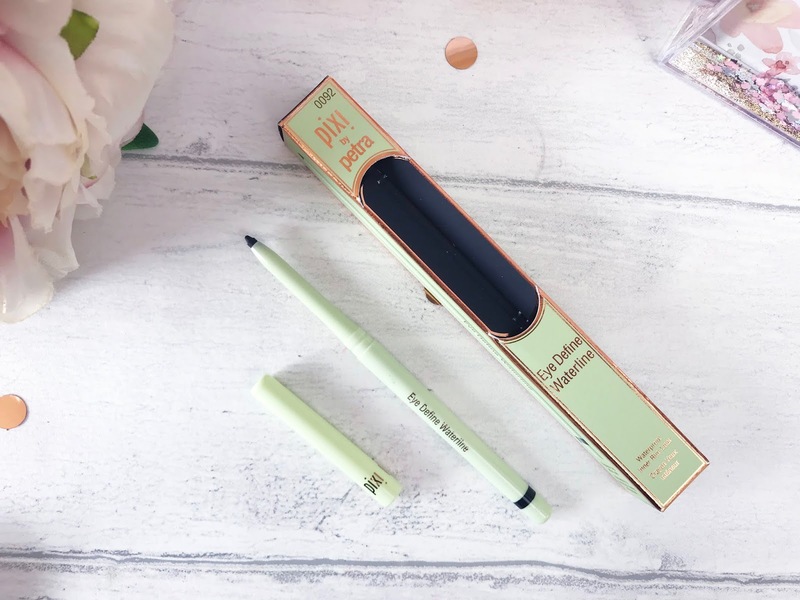 As I have such fine, fair lashes, both upper and lower, I have often used an eyeliner on my waterline, but as I wear contact lenses, eyeliner often disappears from there before I have even managed to leave the house, so the Pixi Eye Define Waterline (£12) excited me greatly! This eyeliner can be used on the inner and upper lash lines to give the ultimate in eye definition. 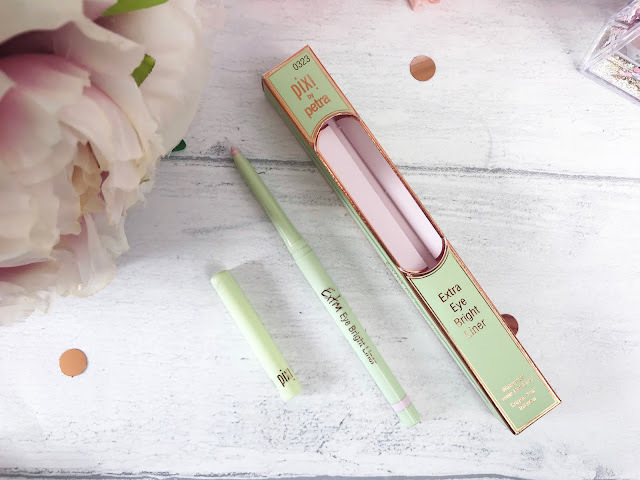 It is a retractable waterproof slim liner with intense, no-smudge colour payoff and glides onto the waterline seamlessly and gently so there’s is no tugging and pulling in such a delicate area and it is also waterproof, making it perfect for contact lens wearers like myself. If your eye area is in need of a little brightening up, then the Pixi Extra Eye Bright Liner (£12) is your must-have product! This waterproof precision inner rim liner is designed to brighten the eyes, making the eye whites look whites. It has a twist-up non-sharpening precision point and is super easy to use to add a brightening effect exactly where you want it. The pale white/pink/lavender shade enhances the eyes, giving the illusion of larger, more bright and awake eyes and is even suitable for sensitive eyes and contact lens wearers. I have previously bought and loved the Pixi Endless Silky Eye Pens (£12 each) when I saw Zoella highly recommending them on one of her You Tube videos a couple of years ago. There are around 12 shades to choose from, and here we have Cobalt Blue, a bright, vivid blue, Matte Mulberry, a warm purple-toned brown, Rose Glow, the most stunning rose gold shimmer, and Velvet Violet, a pretty mid-toned purple. 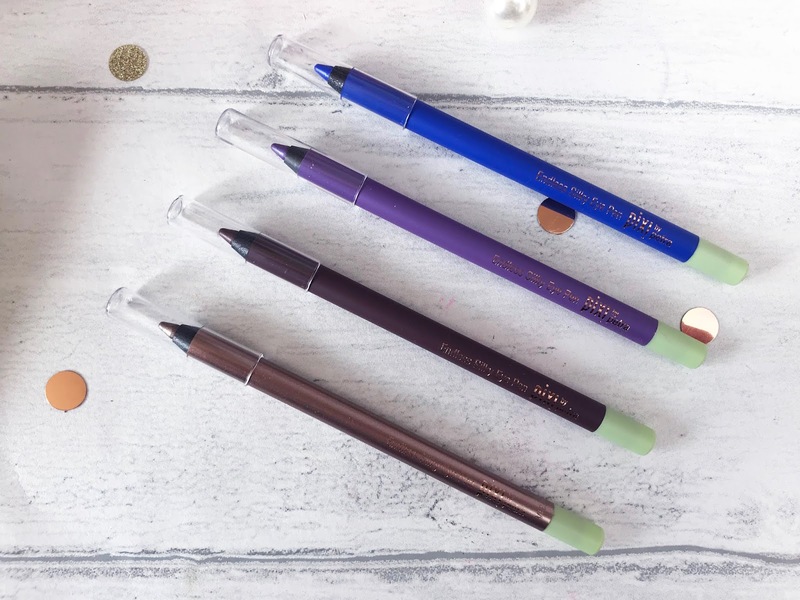 The Endless Silky Eye Pens are have a formula which is waterproof, super-long-wear, no smudge and no budge and along with the Urban Decay Eyeliners, are definitely my favourites. 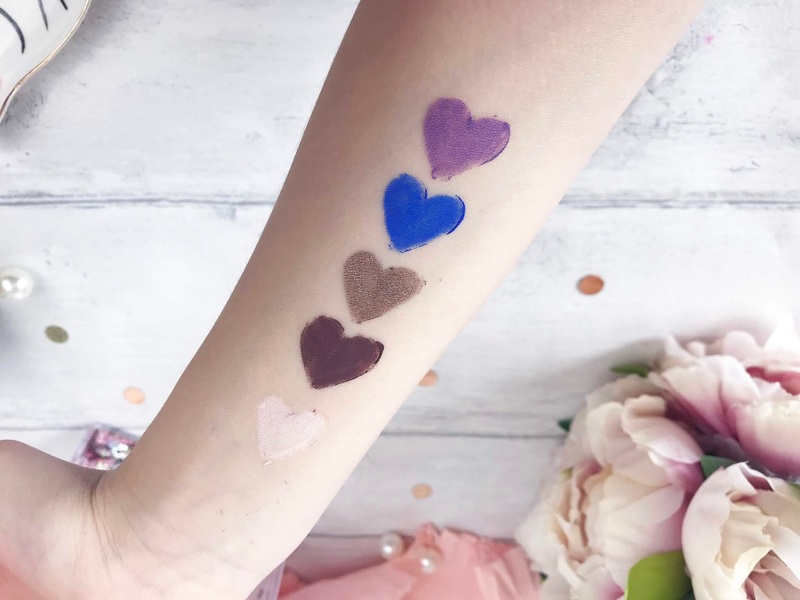 They glide onto the skin like silk and are so pigmented that a single sweep creates that solid, jewel-toned line, again with no tugging or pulling on the lash line. I think the brighter shades are going to be perfect for holidays and festivals, but Rose Gold has my heart. 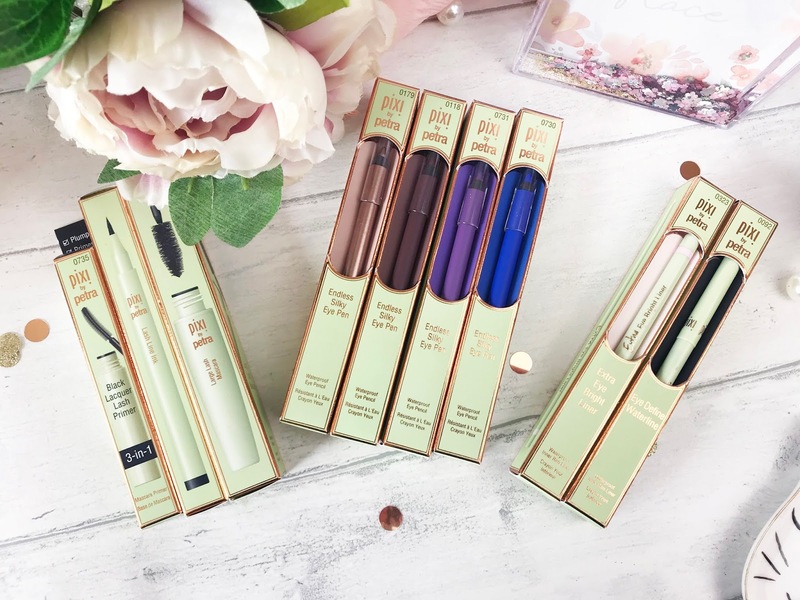 You can find these Lash and Line beauties online at Pixi.